Francisco Alvarado aquired the farm El Diamante eight years ago, and has since dedicated himself and his family to improving production techniques and the quality of their coffee harvest. The family work hard to ensure the cherry is picked only when ripe (you can spot some unripe cherries on the photo on this page). This increases quality but greatly adds to the time and effort involved in the harvest. In Honduras, 92% of coffee comes from small producers who traditionally pick and de-pulp their own coffee and then sell wet parchment to ‘Coyotes’, who buy directly from the farm for cash. This coffee then goes to large-scale mills and is blended with others to be exported as commercial grade bulk lots. This traditional approach is the fastest way for a producer to receive payment, which is vital as most producers have small crops and use their coffee harvest as a key source of income. 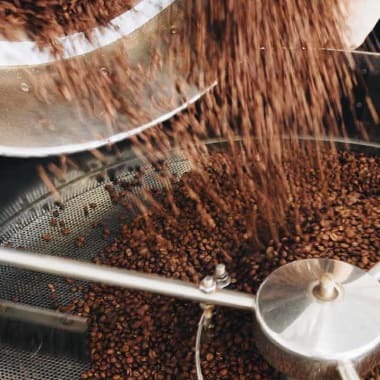 But this involves a trade-off in both quality and traceability: two of the things most important in receiving higher prices paid for speciality-grade coffee. Francisco and other small producers are part of a new movement of farmers who process and dry their own coffee. They invest more in maintenance of their washing tanks and equipment, and build their own raised beds. These farmers aim to increase the quality of coffee in Honduras, and with that also raise the amount of ‘Specialty Grade’ coffee exported from Honduras from the 1% it is today. We’re excited to support this new era of coffee production in Honduras, and to bring you harvests from these small farmers and their families. As part of that support for the new wave of specialty coffee in Honduras, this is the second year we’ve featured Francisco’s harvest from El Diamante for Brew Crew: we featured the previous harvest in July 2015. What makes up Honduras El Diamante?